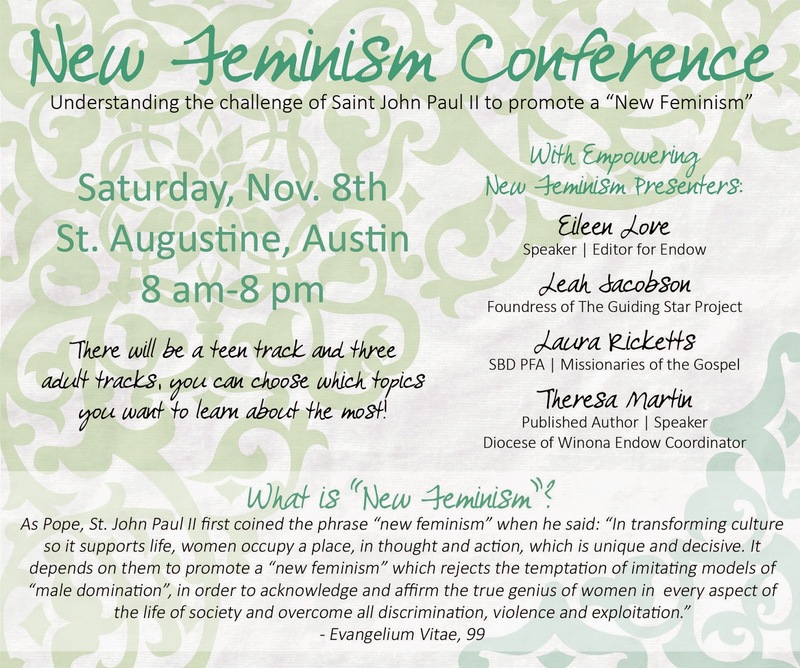 Understanding the Challenge of Saint John Paul II to promote a "New Feminism". Join us for a day of knowledge and inspiration about the great dignity of womanhood and femininity! The New Feminism themes will be expounded in three fields: medical, philosophical/cultural, and spiritual. There will be a teen track and three adult tracks, you can choose which topics you want to learn about the most!